The DUP says it will closely study the wording of an amendment, accepted by the government, which seeks to place a time limit on the backstop. Brexit Secretary Stephen Barclay told MPs the government would accept an amendment from Tory former minister Sir Hugo Swire which, among other things, requires the government to secure parliamentary approval to either extend the Brexit transition period or trigger the backstop if no trade deal is concluded by the end of 2020. 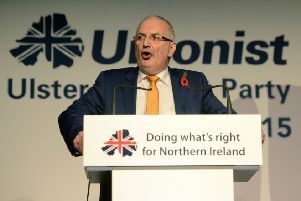 The amendment also states the government should obtain “further assurance” from the EU that the Northern Ireland backstop would “only be a temporary arrangement and that, in the event that it comes into force, both parties intend to agree a future relationship or alternative arrangements consistent with the Political Declaration one year after the end of the implementation period”. MPs have long expressed concern that the backstop arrangement may be permanent.